Well, that time has come it seems for Prince Harry, who has been given an important new royal role this month. Next week, from the 12th – 14th July, King Felipe and Queen Letizia of Spain are making an official visit to the UK and will stay at Buckingham Palace during their trip. Stepping up to take a key role in the official state visit, Prince Harry has been charged with escorting the Spanish royals on a trip to Westminster Abbey, as well as being one of the main members of the royal family to greet the King and Queen on their arrival to the UK. READ MORE: The most googled questions about Prince Harry – answered! 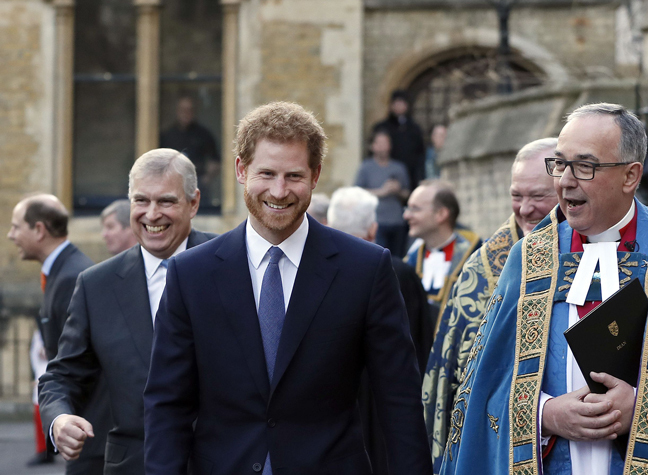 This will be the first time that Prince Harry has been appointed an official role in a state visit and played host to visiting royals in place of his father Prince Charles or grandfather Prince Philip. Prince Harry’s brother, the Duke of Cambridge, and the Duchess of Cambridge haven’t been given official roles for the state visit, although it is presumed that the couple will attend a state banquet with the rest of the royal family in honour of their esteemed guests. Prince Harry’s new role comes after Prince Philip announced his retirement from public life earlier this year. It also follows The Queen’s 91st birthday, which sees her continuing to slow down her busy schedule and pass on duties to younger members of the royal family.